Project Manager, Logistics Transformation Petri Hassinen has worked at KONE since 2000 in various roles, with global responsibilities since 2006. In 2017 Hassinen started a one-year full-time study leave, during which he took part in Aalto EE's Global Leader program and simultaneously studied in the Aalto PRO Diploma in IT Leadership program. During his study-leave, Hassinen also co-founded a startup called JigLabs, which focuses on performance-enhancing AI. Hassinen says the greatest benefit of the Global Leader program was gaining a comprehensive outlook on business, and being able to challenge his own way of thinking by looking at familiar issues from a new perspective. “I gained a great deal from this program. The lessons learned have been extremely valuable for the startup I took part in founding last year and I am now looking forward to putting my new skills to good use at KONE,” he remarks. “During the Corporate Entrepreneurship module, for example, we conducted a due diligence process for a real startup together with MBA students. Applying the venture capital methods into practice was a great experience. The venture capital perspective I learned during this module has been highly valuable: I now understand the investors’ point of view, and know what they are looking for in a startup to ensure it is on a sustainable growth path,” he notes. “In the Leading Change module, we had a marvelous 3-day process during which we thoroughly delved into change management. Reflecting the lessons to my prior experience in leading change was an eye-opener: it gave me great ideas on how to manage change even better in years to come,” Hassinen adds. “It was held by Dr. Khaled Soufani from the University of Cambridge. He introduced a highly relevant way of utilizing corporate figures in strategic and operational decision making. I thoroughly enjoyed this module as well, and I am confident the insights I gained will be useful in my work, both at KONE and JigLabs,” he affirms. “I could go on describing useful skills and ideas gained from this program for quite some time. Insights from the Strategy module have been applied in our start-up JigLabs, for instance, Blue Ocean Strategy thinking and business model canvassing, both things I gained a more in-depth understanding of during the program. All in all, Global Leader was a fantastic program. It gave me great perspectives for both working in corporate and as an entrepreneur,” Hassinen emphasizes. Elective modules of the Aalto EE Global Leader program are shared with EMBA and MBA students. Hassinen asserts that this added to the excellent network he gained during his studies. Taking a break from everyday work life and sharing insights with people from such vastly different backgrounds was beneficial." "Networking is perhaps more important than ever in a platform economy, as innovations are increasingly created outside the company, through for instance partnerships, hackathons and working with startups. This raises the bar for how well people in leadership positions need to be able to collaborate with people from other companies,” he ponders. “I met remarkable people during my studies and formed very good relationships. With one of my classmates we even held one-on-one coaching sessions for each other, as we were both in similar circumstances with our startup businesses,” he adds. “Continuous renewal is always beneficial. I recommend taking part at a point in your career when you know you have sufficient time for studies, but can simultaneously put the lessons learned directly into practice. 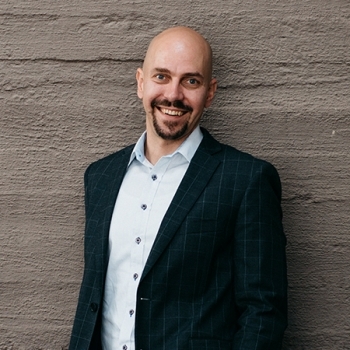 I found the program extremely rewarding and I am giving serious thought to continuing my studies in the Aalto EMBA program within a few years,” Hassinen says.